I fell in love with the music and culture of South Africa years before I actually traveled to the country. But my 2-week visit back in 2000 (which included being given a Zulu name after singing with a musician in Simunye Village) changed my life, inspiring the mission now known as Green Global Travel. 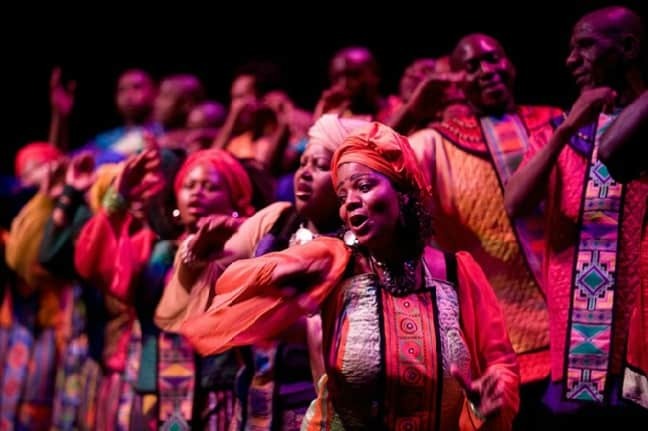 Needless to say, I’ve been a diehard fan of the heavenly harmonies of acts such as Ladysmith Black Mambazo and the Soweto Gospel Choir ever since. 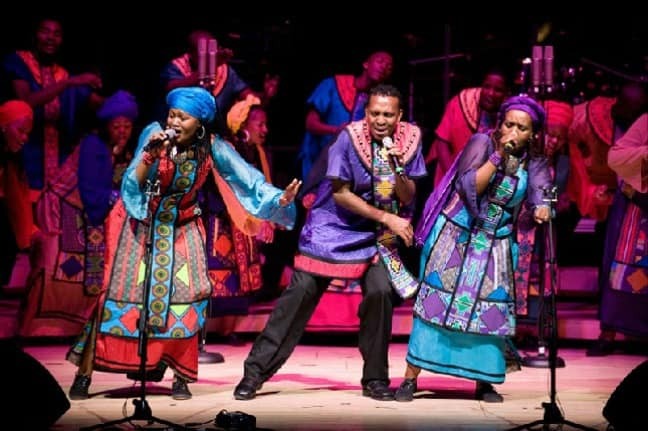 We submitted our request to interview the Soweto Gospel Choir in November, as soon as we heard that they’d be launching a US tour in February 2014. 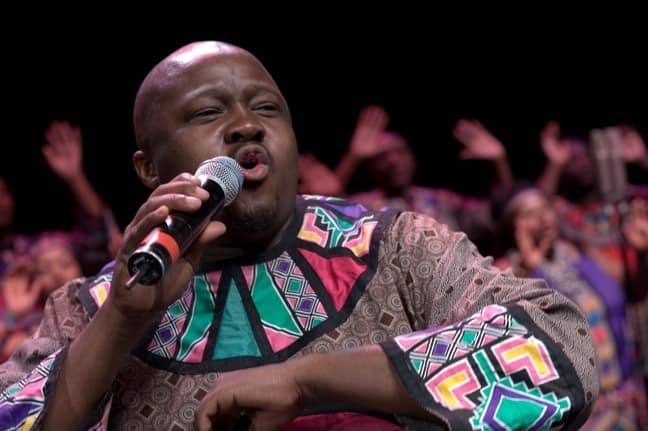 We were utterly shocked and dismayed when we learned of the passing of the great Nelson Mandela, just a few days before we were scheduled to speak with choirmaster/choreographer Shimmy Jiyane. Mandiba (as Mandela was affectionately known) had been a longtime fan of the group, which had performed for him many times. So it seemed only fitting that their passionate performance proved a highlight of his memorial last week. We finally connected with Jiyane just a few days after their touching tribute to the revolutionary political and civil rights icon, discussing topics ranging from the struggles of growing up during the Apartheid era and how life in Soweto has changed since it ended, to what Mandela’s legacy means to the people of South Africa. For readers who don’t know about Soweto, can you tell us a little bit about the township, and what it was like growing up there during the apartheid era? Soweto, an abbreviation of South West Township, is a township on the outskirts of Johannesburg with a population of around 1.7 million. The growth of the township exploded after the Apartheid Government came into power in 1948, and began to enforce the policy of “Separate Development.” Under this policy, black and white designated areas came into place, and forced removals were commonplace. Soweto became an area to house black citizens who had been evicted from the newly designated “white areas. Soweto came to the world’s attention during the Soweto Uprising of 1976. During this uprising, police opened fire on 10,000 students marching against the government’s plan to enforce education in Afrikaans rather than in English. During this uprising, 21 black civilians were killed. I was a child of the apartheid era, and this was very tough. I grew up under very strict, very hard conditions. As a child, it was impossible for me to understand why we were so poor, why I was denied so many opportunities, why my mother would come home crying, why I was forced to learn Afrikaans. By the will of God I made it, and we are all standing tall today. I visited South Africa 13 years ago, and there seemed to be a mixture of excitement and anxiousness about the country’s future. How has life in Soweto changed since apartheid ended? It has changed for the better. We finally got our freedom. In Soweto today, people have so many opportunities. It is possible to become whatever you want to become, and to do whatever you want to do. The huge success of our choir represents the possibility that is available to people living in Soweto today. When I was a child growing up in Soweto, I would never have imagined it was possible to achieve the success that we have achieved as a choir. Modern Soweto is a very different place– vibrant because it has a very rich history in terms of politics, arts and humanity. To think of how it has changed since the end of apartheid makes me very hopeful for the future. I’m fascinated by the intrinsic role music has historically played in the daily lives of many African cultures. Can you talk about what music meant to you as a child growing up in Soweto? Music has meant a lot to me throughout my life. Music is what comforted me through my darkest times. When I suffered great hardship, when there was death, when there was no food, music is what made me stronger. In South Africa, we sing when we are happy and also when we are sad. South Africans have a great connection with music. You were a founding member of the Soweto Gospel Choir. Can you talk about how the group came together, and what your original mission was? 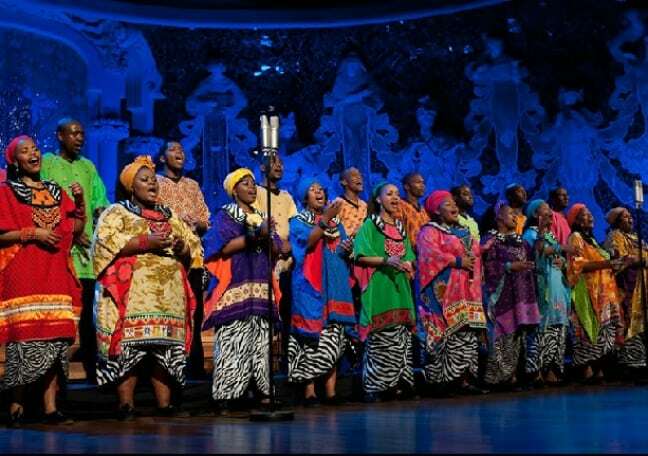 In 2002, auditions were held in Soweto, and I was lucky enough to be one of the people to be chosen to join the choir. The first tour we ever did was to Australia, where every performance was sold out. People queued down the road to try and get in to see us! After this, we did a month at the Edinburgh Fringe Festival, where presenters from around the world came to see us. Our time in Edinburgh started our international touring career, and we’ve been fortunate enough to tour the world for the past 10 years. 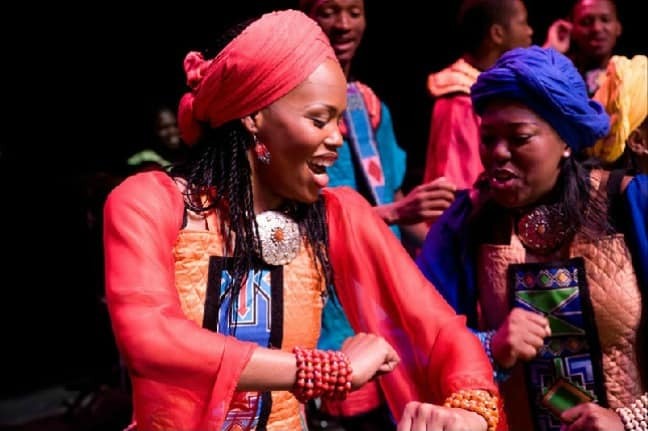 Our original mission was to bring joy into people’s lives through African music and dance. Having toured all over the world, I have found that music breaks down cultural and language barriers because it is able to speak to people’s hearts. Music truly is the international language. As both choreographer and choirmaster, you seem to value the opportunity to expose audiences to traditional African culture. Do you see the group as cultural ambassadors for South Africa? Absolutely. Everything we do, we do for South Africa. It is very important to bring our music to other countries and to showcase our culture to different people all over the world. It brings us so much happiness to show people the joyful aspects of our culture. 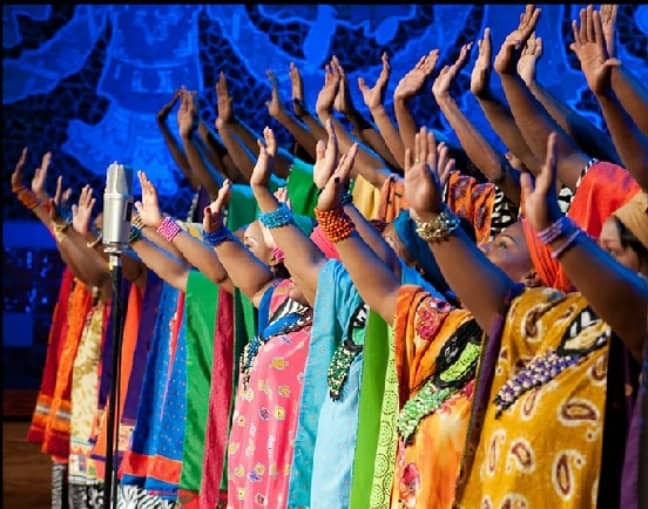 I think that the choir has played an important role in showing the world South Africa’s rich culture and heritage. At its heart, South Africa is a vibrant nation, and this is best expressed through our rich and diverse history of music and dance. Mr. Mandela was an icon in Soweto long before the rest of the world knew what an incredible leader he was. Could you talk about what his legacy means to the people of South Africa? Madiba’s legacy means everything to us. He was our father. He was our motivator. He was our leader. He changed South African culture, and he changed the world. Madiba taught us how to replace hatred with love, and to forgive the past and move forward. After the Apartheid, he was our beacon of hope for what the future could bring if the past was forgiven. He had the ability not only to unite his own people, but to set an example of forgiveness to the rest of the world. Even at his memorial, leaders from all over the world forgot their differences and came together to honor and celebrate his life. This demonstrates how his humanity touched the world. His legacy will always live on. 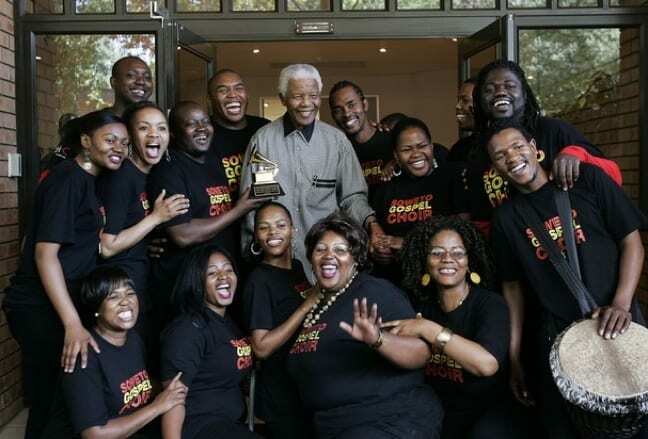 Mr. Mandela was one of the Soweto Gospel Choir’s biggest fans, and you performed for him many times. How would you describe the energy and emotion of performing at his memorial service? It was such an amazing feeling to be part of it, to be there to honor the father of our nation. So many ordinary South Africans came to show their respect, and there was an amazing feeling in the stadium and amongst the artists and the dignitaries. We felt part of a moment in history. Will there be any special recognition of him on the Choir’s forthcoming tour? Yes, the choir will dedicate Johnny Clegg’s “Asimbonanga” to Madiba. This song was written about Nelson Mandela at the time when he was imprisoned on Robben Island. It’s a very powerful and moving freedom song, and we feel very honored to be able to perform it in his honor. It’s been over 10 years since the choir was formed. As you worked on compiling your new album, Divine Decade, were there any favorite memories or collaborations that stood out? Throughout our career, we have been lucky enough to collaborate with artists that we grew up idolizing, such as Ladysmith Black Mambazo. Collaborating with U2 and Bono, Robert Plant, Mahlangu, and The Soil have been highlights for us. But the collaborations we do are all important and special in their own way, so I can’t pick a favorite! What are your personal goals for the choir’s future?